Do I really Need To Visit the Dentist Ft. Collins Trusts Twice a Year? 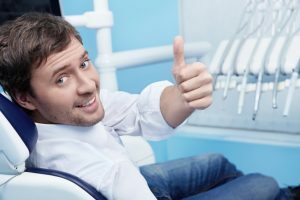 In recent years, the dental field has shifted its focus from treating oral health issues to preventing dental concerns. This preventive focus allows dentists to diagnose and treat oral health issues at the earliest possible stage meaning more people than ever before are able to keep their natural teeth for a lifetime. At Aspen Dental Care, Dr. Shiloh Lindsey recommends twice annual dental checkups and cleanings in order for patients to achieve and maintain the optimal level of oral health, and protect their smiles from more severe dental damage down the line. Reduced risk for tooth decay as regular checkups and cleanings remove decay-causing bacteria and plaque from even the hardest to access places. Reduced risk for gum disease which effects more than half of US adults and is the number one cause of tooth loss. Keeps teeth looking whiter by removing stain causing bacteria and plaque. Regular screenings for bruxism (teeth grinding and clenching), temporomandibular joint (TMJ) disorder, and oral cancer makes early diagnosis and treatment possible. Increased odds that patients will retain their natural dental structure for their whole lifetime. At Aspen Dental Care, our team offers the perfect combination of patient-centered care and state-of-the-art technology. From the moment patients arrive for their first visit at our Ft. Collins practice, they are greeted by our friendly staff and made to feel completely at home. We spend the first part of the visit discussing patient history and dental health care goals during a one-on-one smile consultation. We then examine teeth and gums and take digital x-rays and photos to determine current smile health. In order to provide patients the highest quality preventive care, Dr. Lindsey uses DIAGNOdent technology to diagnose and treat cavities in the earliest stages, and VELscope to accurately and quickly identify oral cancer. VELscope early diagnosis increases the potential for successful treatment by 80%. At Aspen Dental Care, our team strives to develop strong, professional relationships based on mutual trust and respect, and hope to help generations of families retain healthy smiles. New to the Ft. Collins area or in need of a new dental practice? Contact Aspen Dental Care to schedule an appointment with our skilled dentistry team. Comments Off on Do I really Need To Visit the Dentist Ft. Collins Trusts Twice a Year?